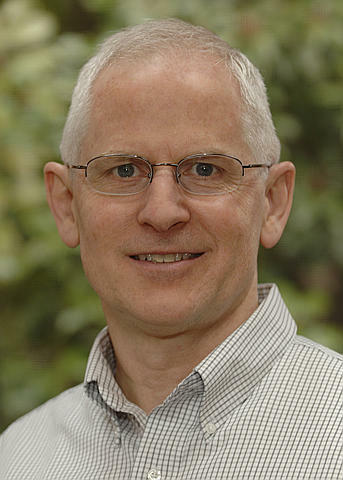 Richard H. Moss is a Senior Scientist at Pacific Northwest National Laboratory’s Joint Global Change Research Institute and Adjunct Professor in the Department of Geographical Sciences at the University of Maryland, College Park. Moss’s research on global environmental change focuses on (1) scenarios (including the Representative Concentration Pathways (RCPs), (2) uncertainty characterization in integrated models and scientific assessments, and (3) methods for evaluating potential consequences of interacting societal and environmental changes. Moss has held several public service positions including Director of the US Global Change Research Program/Climate Change Science Program Office (spanning the Clinton and G.W. Bush Administrations) and technical support director for one of the working groups of the Intergovernmental Panel on Climate Change. Moss chairs the Federal Advisory Committee for the Sustained US National Climate Assessment and the National Academy of Science's Board on Environmental Change and Society. He is a fellow of the American Society for the Advancement of Science, a National Associate of the National Research Council, and a Distinguished Associate of the US Department of Energy. He received his Ph.D. from Princeton University in public and international affairs. Richard H. Moss: Joint Global Change Research Institute Publications. Moss R.H., and M.A. Lane. 2012. "Decisionmaking, Transitions, and Resilient Futures." Issues in Science and Technology 28, no. 4:31-34. PNNL-SA-91373. Rosa E., T. Dietz, R.H. Moss, S. Atran, and S. Moser. 2012. "Managing the Risks of Climate Change and Terrorism." Solutions: For a Sustainable and Desirable Future 3, no. 2:59-65. PNNL-SA-91374. Rosa E., T. Dietz, R.H. Moss, S. Atran, and S. Moser. 2012. "Managing the Risks of Climate Change and Terrorism." Solutions: For a Sustainable and Desirable Future 3, no. 2:59-65. PNNL-SA-91529. Moss R.H., N.L. Engle, J. Hall, K. Jacobs, R. Lempert, L.O. Mearns, and J. Melillo, et al. 2011. US National Climate Assessment (NCA) Scenarios for Assessing Our Climate Future: Issues and Methodological Perspectives Background Whitepaper for Participants. PNNL-20040. Richland, WA: Pacific Northwest National Laboratory. Rice J.S., P.J. Runci, R.H. Moss, and K.L. Anderson. 2010. iRESM INITIATIVE UNDERSTANDING DECISION SUPPORT NEEDS FOR CLIMATE CHANGE MITIGATION AND ADAPTATION --US Midwest Region-. PNNL-20104. Richland, WA: Pacific Northwest National Laboratory. Rosa EA, T Dietz, R Moss, S Atran, and S Moser. 2012. "Managing the Risks of Climate Change and Terrorism." Solutions 3(2): 59-65. Moss RH and G Yohe. 2011: "Assessing and Communicating Confidence Levels and Uncertainties in the Main Conclusions of the National Climate Assessment 2013 Report: Guidance for Authors and Contributors." National Climate Assessment Development and Advisory Committee (NCADAC). Kriegler E, BC O'Neill, S Hallegatte, T Kram, R Lempert, RH Moss, and TJ Wilbanks. 2010. "Socio-economic Scenario Development for Climate Change Analysis." CIRED Working Paper DT/WP No. 2010-23. Marengo JA, K Averyt, B Hewitson, N Leary, and RH Moss, Editors. 2009. Climate Research Special Issue: Integrating Analysis of Regional Climate Change and Response Options. Vol. 40, No. 2-3. Print ISSN: 0936-577X; Online ISSN: 1616-1572. CR SPECIAL 20 contains selected papers from a meeting of the Intergovernmental Panel on Climate Change Task Group on Data and Scenario Support for Impact and Climate Analysis (TGICA), held in 2007 to catalyze interdisciplinary research on climate change, impacts, adaptation, vulnerability and mitigation. Moss RH. 2007. "Improving Information for Managing an Uncertain Future Climate." Global Environmental Change 17(1):4-7. DOI:10.1016/j-gloenvcha.2006.12.002. Bierbaum RM, JP Holdren, MC MacCracken, RH Moss, and PH Raven, Editors. 2007. Confronting Climate Change: Avoiding the Unmanageable and Managing the Unavoidable. Scientific Expert Group on Climate Change (SEG). Report prepared for the United Nations Commission on Sustainable Development, Sigma Xi Research, Triangle Park, North Carolina, and the United Nations Foundation, Washington, D.C.
Jochem E, Z Dadi, I Bashmakov, U Farinelli, MK Halpeth, N Jollands, T Kaiser, J Laitner, M Levine, F Moisan, HC Park, A Platonova-Oquab, R Schaeffer, J Sathaye, J Siegel, D Urge-Vorsatz, E Usher, Y Wang, E Worrell, R. Moss, W Chandler, H Gwin, D Harwood, R Detchon, P Long, K Shickman, R Hobert, T Singh, J Gastellum, J Cass, N Davis, and L Freimuth. 2007. Realizing the Potential of Energy Efficiency: Targets, Policies, and Measures for G8 Countries. Expert Group on Energy Efficiency, United Nations Foundation Expert Report, Washington, D.C., 72 pp. Mahoney JR, RH Moss, DM Allen, J Amthor, SK Avery, JH Butler, MC Gregg, DJ Kokken, S Eden, G Fisher, SA Harrington, CJ Koblinsky, DM Legler, S MacCracken, J Orrego, RS Piltz, NA Sundt, AN Tribble, B Ward, and RC Worrest. 2003. Strategic Plan and Vision for the Climate Change Science Program: A Report by the Climate Change Science Program and the Subcommittee on Global Change Research, U.S. Climate Change Science Program, Washington, D.C. Coordinated drafting and review of the strategic plan as director of the program office. Moss RH and SH Schneider. 2001. "Towards Consistent Assessment and Reporting of Uncertainties in the IPCC TAR." In: Cross-Cutting Issues in the IPCC Third Assessment Report, R Pachauri and T Taniguchi, Editors, Global Industrial and Social Progress Research Institute for Intergovernmental Panel on Climate Change, Tokyo, Japan. Moss RH, AL Brenkert, and EL Malone. 2001. "Vulnerability to Climate Change: A Quantitative Approach." PNNL-SA-33642, Pacific Northwest National Laboratory, Richland, Washington. Watson RT, JA Dixon, SP Hamburg, AC Janetos, and RH Moss. 2001. Protecting Our Planet, Securing Our Future: Linkages Among Global Environmental Issues and Human Needs. United Nations Environment Programme, U.S. National Aeronautics and Space Administration, and The World Bank, Nairobi and Washington, D.C., 95 pp. Watson RT, MC Zinyowera, and RH Moss, Editors. 2001. The Regional Impacts of Climate Change: An Assessment of Vulnerability. Cambridge University Press, Cambridge (United Kingdom) and New York, 517 pp. Moss RH. 1998. "Water and the Challenge of Linked Environmental Changes." Water Resources Update (Universities Council on Water Resources) 112(1):6-9. Schimel D, M Grubb, F Joos, R Kaufmann, RH Moss, W Ogana, R Richels, and T Wigley. 1997. Stabilization of Atmospheric Greenhouse Gases: Physical, Biological and Socio-Economic Implications, JT Houghton, L Gylvan, M Filho, DJ Griggs, and K Maskell, Editors. Technical Paper No. 3, Intergovernmental Panel on Climate Change, Geneva, Switzerland, 56 pp. Watson RT, MC Zinyowera, and RH Moss, Editors. 1996. Technologies, Policies and Measures for Mitigating Climate Change. Technical Paper No. 1, Intergovernmental Panel on Climate Change, Geneva, Switzerland, 85 pp. Watson RT, MC Zinyowera, and RH Moss, Editors. 1995. Climate Change 1995: Impacts, Adaptations, and Mitigation (Scientific and Technical Analyses). Cambridge University Press, Cambridge (United Kingdom) and New York, 880 pp. Turner BL, RH Moss, and DL Skole. 1993. Relating Land Use and Global Land Cover Change. International Geosphere-Biosphere Programme and Human Dimensions of Global Environmental Change Programme, Stockholm, Sweden. Williamson P and RH Moss. 1993. "Degrees of National Wealth." Nature 362: Art. No.782. DOI:10.1038/362782a0.